No need to deprive yourself if you're following a blood pressure-friendly diet. 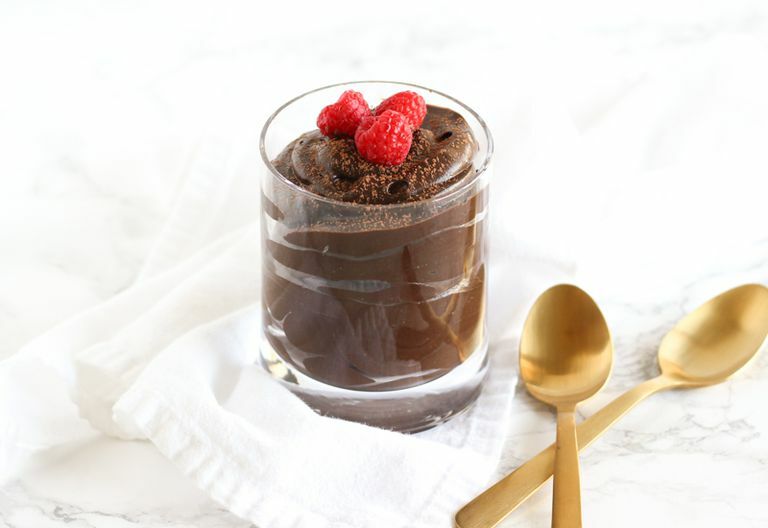 Whether you need something sweet after dinner or you are asked to bring ​a dessert to a party, this dark chocolate avocado mousse is the perfect healthy yet decadent dessert. It uses avocados instead of heavy cream to give it a rich, creamy texture. Avocados are naturally high in potassium and magnesium, which help to lower your blood pressure. Avocados are also loaded with tons of vitamins, including folate, vitamin K, and vitamin E. They provide healthy monounsaturated fats and fiber to help keep you full and satisfied with just a small portion. Cocoa powder also contains fiber and blood pressure lowering flavonols. This mousse couldn’t be easier to make. Just blend everything in a blender until smooth and chill for just a little bit. Nobody will ever know that it’s healthier or that it is made with avocados! Cut avocados in half and remove seeds. Scoop from shells into a blender or food processor. Place chocolate chips in a microwave-safe container and heat in 30-second intervals, stirring in between, until smooth. Add melted chocolate and remaining ingredients to a blender and blend until smooth. Divide into 4 serving dishes and refrigerate at least one hour before serving. For dairy-free and vegan, use dairy-free milk of choice and dairy-free chocolate chips. For vegan, use maple syrup or agave instead of honey, too. Add more milk by the tablespoon, if needed, until you reach the desired consistency.